Dany, 5⭐️x2 new gorgeous creations. Thank you Dany! I viewed 16 more of your past gorgeous pots! 16 x 5*****! I will of course be back to see more! Thank you for your stars! 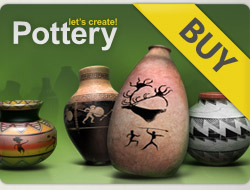 I gave 5***** to your latest, beautiful pot! Hi Dany. I checked and didn’t see any new pots. Have a good weekend.